Dr. Anagnostopoulos specializes in complex neonatal and infant cardiac reconstructive surgery, pediatric heart surgery, adult congenital cardiac surgery, single ventricle palliation, extracorporeal life support, extracorporeal membrane oxygenation, ventricular assist devices, minimally invasive cardiac surgery, hybrid surgical-catheterization cardiac surgery, off-pump cardiac surgery, complex mitral and tricuspid valve repair, aortic root surgery, tetralogy of Fallot, coronary artery anomalies, Ross operations, obstructive cardiomyopathy, and heart transplantation. Dr. Anagnostopoulos provides a wide range of services including Neonatal and Infant Cardiac Reconstructive Surgery, Pediatric Heart Surgery, Adult Congenital Cardiac Surgery, Single Ventricle Palliation, Extracorporeal Life Support, Ventricular Assist Devices, Minimally Invasive Cardiac Surgery, Hybrid Surgical-Catheterization Cardiac Surgery, Off-Pump Cardiac Surgery, Complex Mitral and Tricuspid Valve Repair, Aortic Root Surgery, Tetralogy of Fallot, Coronary Artery Anomalies, Ross Operations, Obstructive Cardiomyopathy, Heart Transplant. 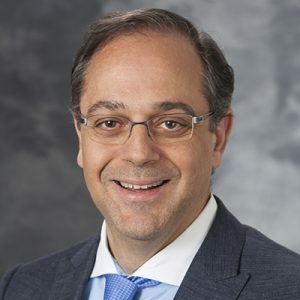 Dr. Anagnostopoulos’s research interests include coagulopathy associated with supraceliac aortic clamping and development of rapid deployment extracorporeal life support program. Analysis of cavopulmonary and cardiac flow characteristics in fontan Patients: Comparison with healthy volunteers. Consequences of an early catheter-based intervention on pulmonary artery growth and right ventricular myocardial function in a pig model of pulmonary artery stenosis. Intraoperative Completion Angiogram May Be Superior to Transesophageal Echocardiogram for Detection of Pulmonary Artery Residual Lesions in Congenital Heart Surgery. Pseudoaneurysm complicating right ventricle-to-pulmonary artery conduit surgery: Why single-center observational studies still matter.